Here it is, my yearly english blog post. I took part of International school meals day last last year too but then I was at another school in the same county. I apologize if there is any words in this post that is misspelled or if some things I write don´t make sense, this isn´t my native language since I´m born in Sweden. First I will tell you some facts about the Swedish school meal system. In the Swedish school law it states that every lunch is to be served free of charge to students from pre-school up to high school. This is something that has been going on since 1945, in the middle of 2011 the state added an amendment to the law that stated the meal should alse be nutritional. 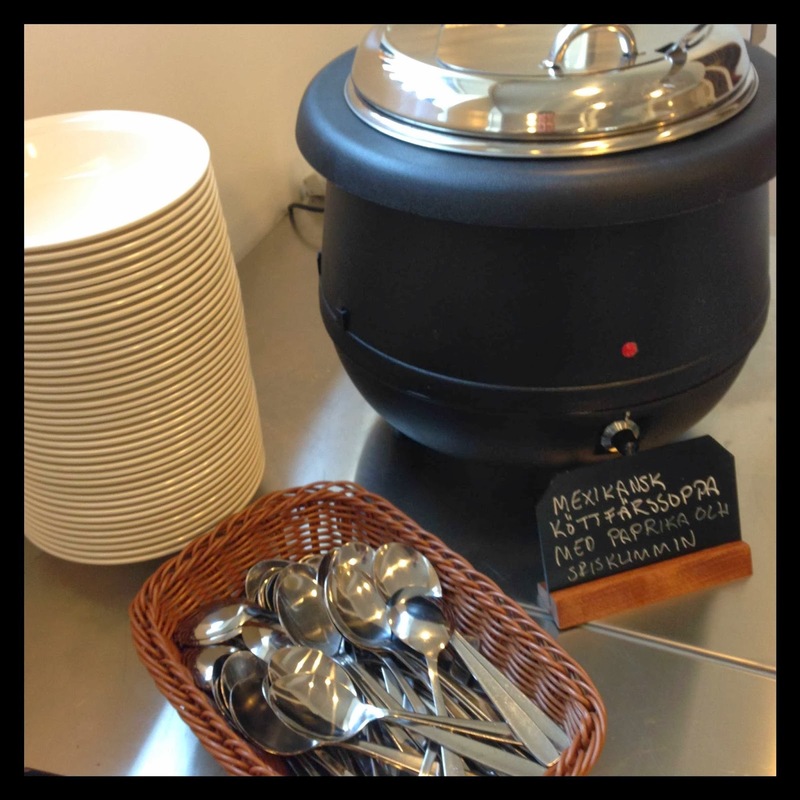 The standard of Swedish school meals are were high and many kitchens has a standard when it comes to there food that is equal to an normal restaurant. If we go back 10 years many of the kitchens served industrial preperd products and the focus wasn´t on the quality. 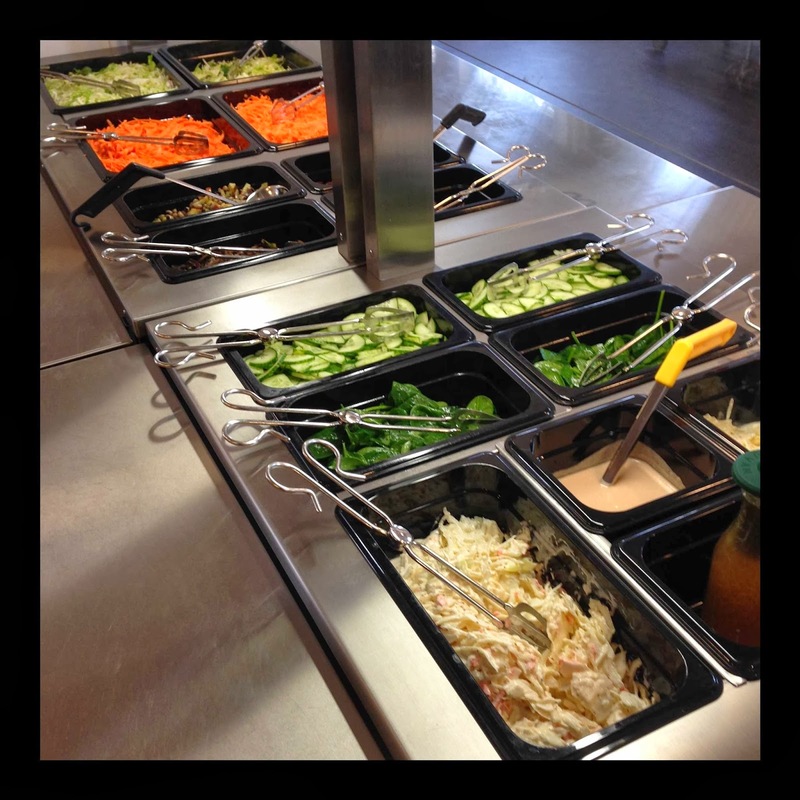 But since then many things have happened and now the best schoolkitchens tend to do as much as they can from scratch. 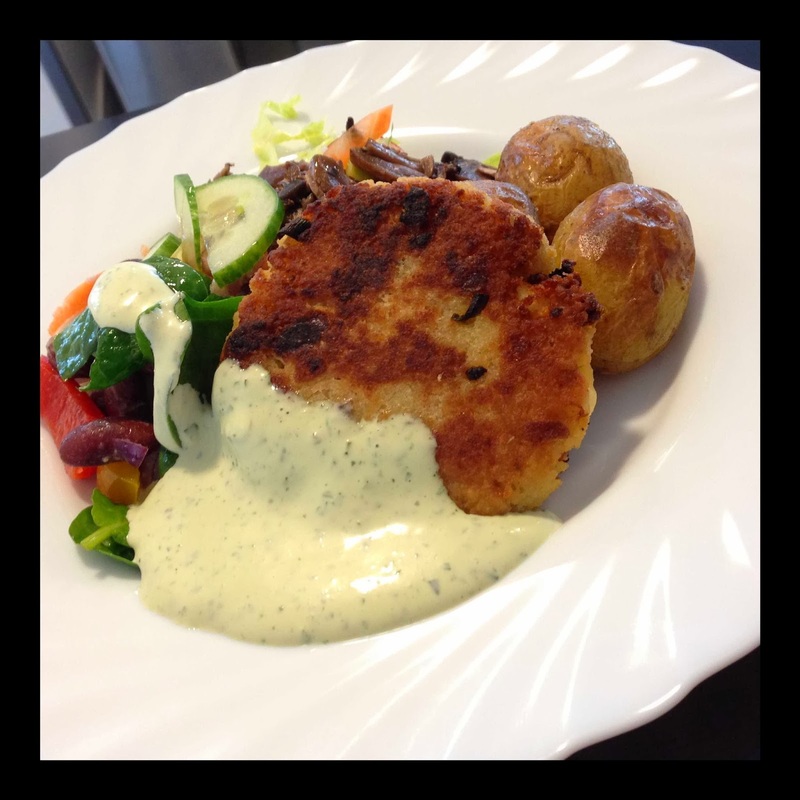 I´m headchef of a school restaurant in the region of Stockholm, Swedens capitol. 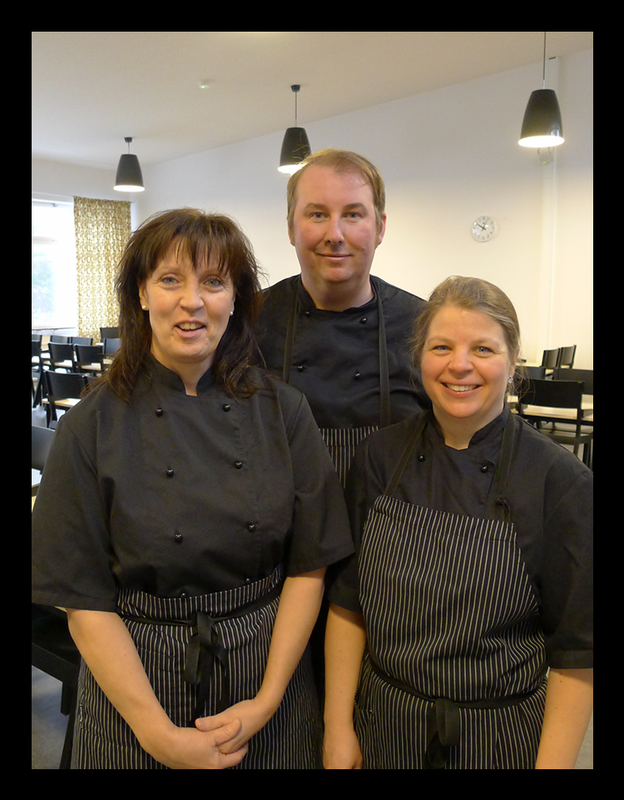 The school called Fribergaskolan (Fribergaschool) is for students from the age of 13 to 15, secondary school, and each day we prepare lunch for 500 students. We serve between two to three diffent meals every day. One maincourse, one soup and one vegetarian meal. We have a big buffé with about seven different sallads and we bake our on bread. In the restaurant we are four people that work every day to make this possible, three of us fulltime and one that works during the lunchtime. 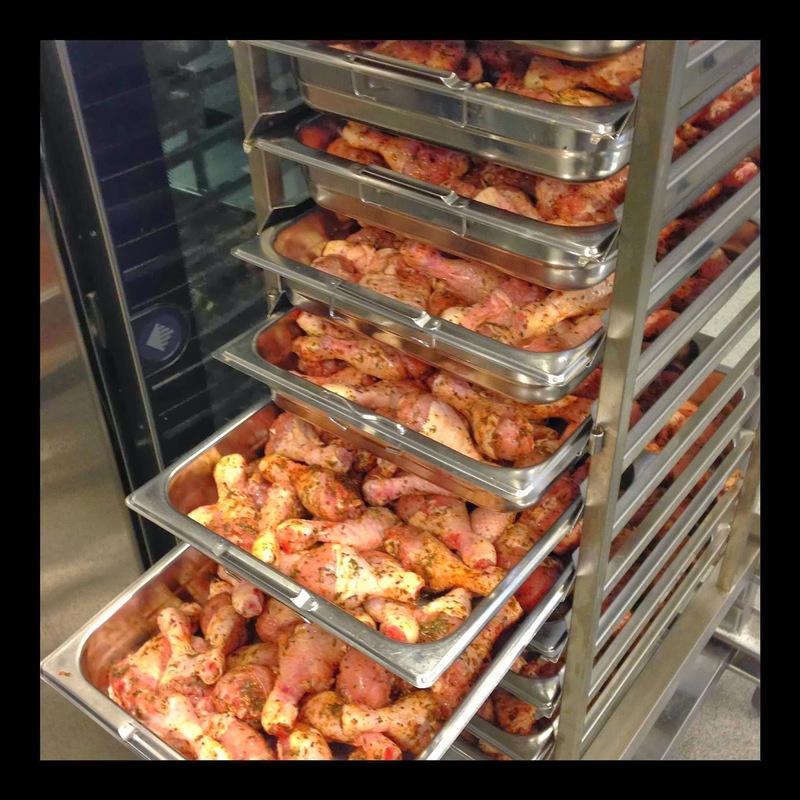 We strive to make every lunch both nutritional and educational. Because we believe that the experience during the lunch should also be part of the students education. 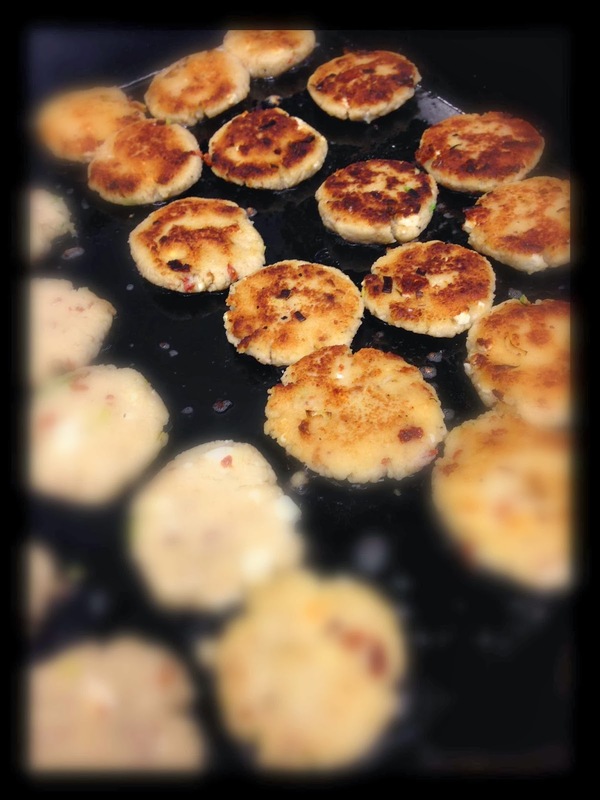 We serve dishes from our own culture but also from different cultures from around the world. The lunch should be an experience for all your senses. It should taste good, look good and smell good. And foremost it should give you enough energy to last the entire schoolday. Becouse if you don´t have the energy learning new things is so much harder. So the food we serve is the key to good education! For us in Sweden it´s easy to forget the conditions for students in other countries. We are previliged to have a system that grants every student with the free meal during school days. A system that only exist in three countries around the world: Sweden, Finland and Estonia. Hopefully more countries will follow this system but in the meanwhile I hope that at least the students that can´t afford to buy there lunch should be offered some kind of meal during the day to give them enough energy to last through the school day. For many that could be the only meal they get, especially in poor countries with lot of poverty. With that in mind the following discription of what we served our guests today might seem extravagant but since we have our system that has been establiced for so many years it´s possible for us to serve a meal that have restaurant standard. 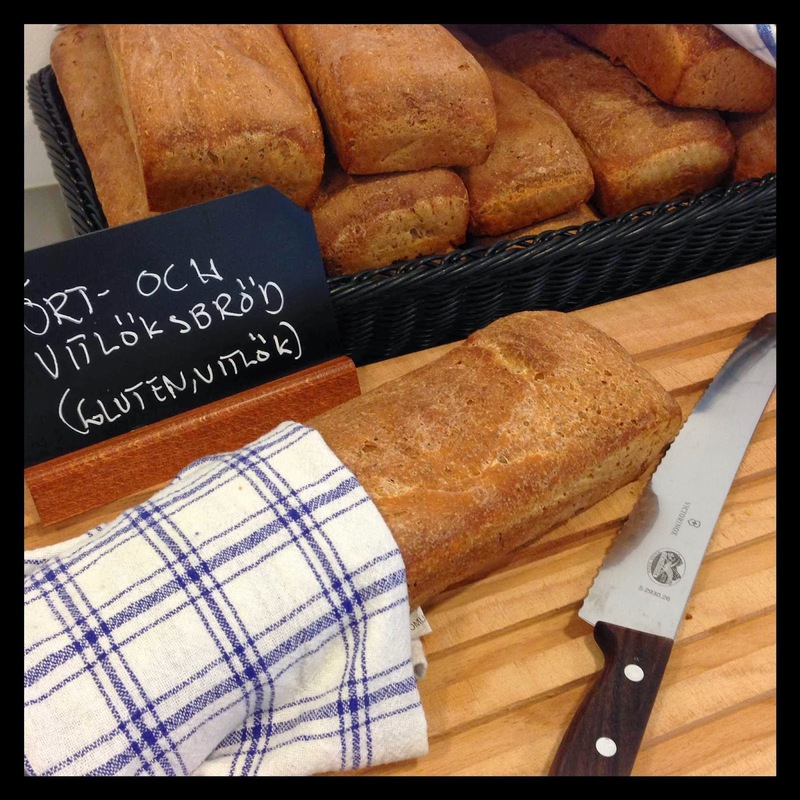 To give you a hint of what kind of resources we have to work with when it comes to money I as headchef has a calculated budget of 9.80:- Swedish crowns (ca 1,10 Euro or 1.45 USD) for each student per day that I can use to by groceries. The meal we served today is a little bit extra just to celebrate the International school meal day but at the same time not that different from what we normaly serve. For todays main dish we have seasoned chicken drumsticks with a mix of dried herbspices (thyme, rosemary, tarragon, parsley and basil) and then let them marinat over night in cold storage. Today we carefully cooked them in the owen to keep them juicy. Then we made a creamy sauce using mixed fresh basil, organic creme fraiche, mayonniase and blackpepper. 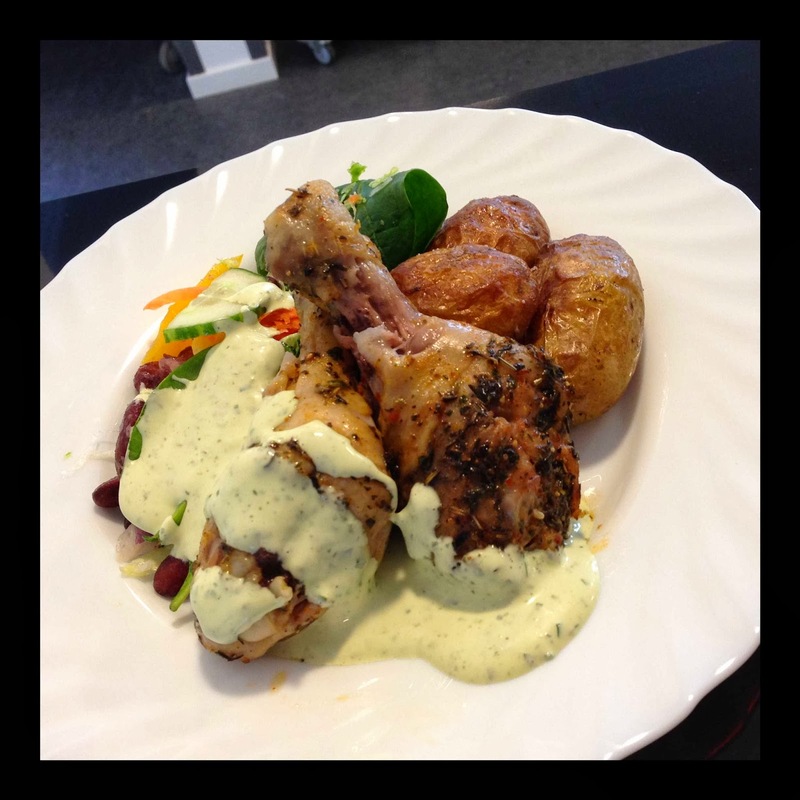 The chicken was served with an owenroasted potatoe made of small potatoes that we precooked and then roasted in the owen on high temperature with organic rapeseed oil and salt. The vegetarian dish this day was an veggie beef made of couscous, sundried tomatoes, chives, garlic, roasted onions, eggs, salt, pepper and stuffed with cheese. The mixture was then formed to beefs and fried. They were then served with the same sauce and potatoes as the chicken. 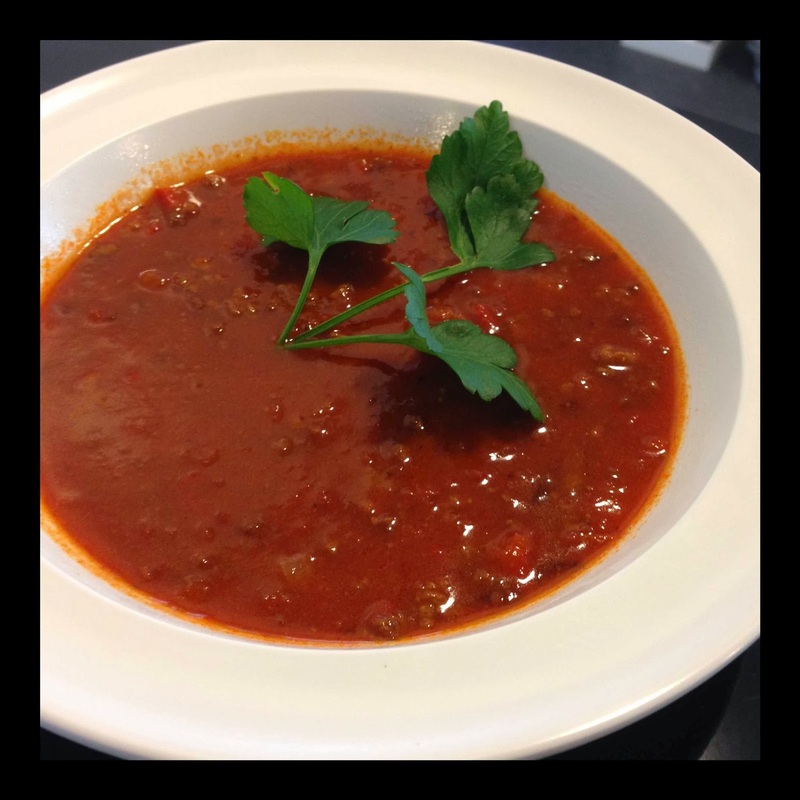 Soup of the day was an Mexican soupe made from minced beef together with tomatoes and paprika, then seasoned with chili, garlic and ground cumin. To complement these dishes we made our normal saladbuffé and baked a herb- and garlicbread. To drink our guests can choose between organic milk or water. If you won´t to now more and have questions about how we work and and about swedish school meals you can always contact me on my email: skolkocken.mail@gmail.com. And if you by some reason find yourself visiting Sweden and Stockholm your always welcome to pay us a visit. I also have a facebookpage for the blog where you can find my blogposts but I also post links to other interesting things related to food in general and especially school meals.